Hello there good morning and welcome to Join Up Dots. This is me. This is join up darts and this is the podcast which is the number one motivational podcast on Earth. So how are we doing. How are we doing out there. Are we rocking and rolling because it’s Friday today, and some of you are going to be having an amazing weekend. Some of you are going to be working, but let us know what you’re up to because at the moment as you’re listening to this I’m actually on vacation. Yes. That doesn’t mean that you can come to burgle my house, but I am actually on vacation. At the moment I am in the Isle of Wight in the United Kingdom, a place I’ve never ever been before and I am exploring. So how are you doing. Are you rocking rolling. In the United Kingdom at the moment., we’ve had two Weird Weekends. Last weekend it was atrocious. It was terrible weather. The weekend before it was lovely. It was shorts and sandals and I was walking about with my firm buttocks, and my granite like AbS shown to the world now actually me buttocks I kept them. I don’t know why I say these things but my mouth kind of runs away but my brain catches up. But by that time it’s recorded and it’s out there. I dont go back and change things so a couple of weeks ago was a couple of weeks ago. Was it last week it was last week wasn’t. show is about some very very quick questions and I sent out to our email list on one of the groups that I maintain and I just said you know one line questions just one line questions and I will bash them out like like rap and dowl you throw them at me and I will whack em back with my forehand straight to you. And we didn’t get that many actually. We got five of them but are quite good questions. They’re quite good questions. So this is going to be a very short episode which is all right because you got nearly a thousand other episodes join up dots to go back after all. And so we get to start with Eric Eric said. What to do when you dont know what to do. So I assume that he’s doing something in his life and he’s a bit confused and he answers to that. Eric I think is dont do anything. I now think that if you force it. Its not going to work you just get a kind of rubbish version of what you wanted in the first place and now Ive learnt from experience when I just cant think of what to do and I’ve just got too much around me and it’s just kind of yeah your flicking from the screen to that screen or whatever you’re doing it could be jobs externally when you look at your garden and you think he’s a Parkerson much to do show like true that Bush or shall I go with the lawman’s. Just walk away from it just walk away from it and you will gain clarity. It’s that moment when your god you get that. You need to do again. You went a little bit like Jimmy Saville where we dont want to get involved in that kind of thing. I can do a good Jimmy Saville impression but my kids wont let me anymore. Did that only mean something to the people in the United Kingdom and not worldwide and its not a good thing. But you know when you can do something really really good and you cant do it anymore because that person has turned into a bad person. It was one of my best impressions. It was I’d been doing it for years but I won’t do it. So you got quality control at the moment I’ve got quality control my chip has kicked in and has stopped me taking it too far. It’s a burning desire. it’s a burning desire. Okay so what to do when you don’t know what to do is just don’t do anything. Just walk away leave it. It will be there when you get back and then you can make a decision and while you are away down the Powerball. Walking through life Build’s or or making love on the beach you can just think about things and you can think that’s what I need to do. I will just do about one being and so I do a lot. Join up dots as we’re building new products and building new email marketing lists and the new website and everything. There’s times that I think oh my god i just dont know what to do. And so I dont do anything. I just walk away. Okay Eric. Hopefully that answers your question okay. 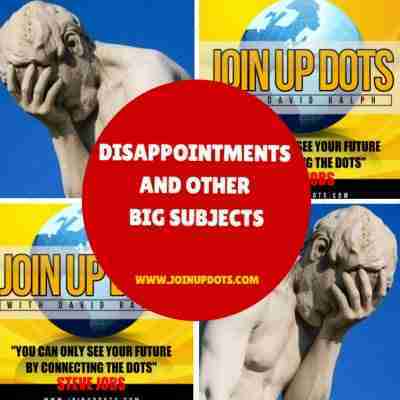 How do you deal with disappointment. Right well its from Teresa now Teresa has asked her how do you deal with disappointment. I think with disappointment you have to be chemically designed to not suffer with disappointment. I hate I’m a very level playing field kinda guy went when I had something really exciting in my life on kind of a yeah that’s good. If I achieve something amazing I dont really feel anything amazing. I just kind of plough on to the next spring so Im not a peaks and troughs kind of guys. So my disappointments aren’t too low and my achievements arent too high Im just kind of where I am which is kind of disappointing because sometimes you achieve something really good and people go. What you going to do. What are you going to do to celebrate and nothing noticed. Just do something else. Just do something else. So I do think chemically there must be some kind of imbalance that makes people feel more to disappointments and failures than other people. But certainly when I have had disappointments when I have had failures all I do Teresa is just being okay. 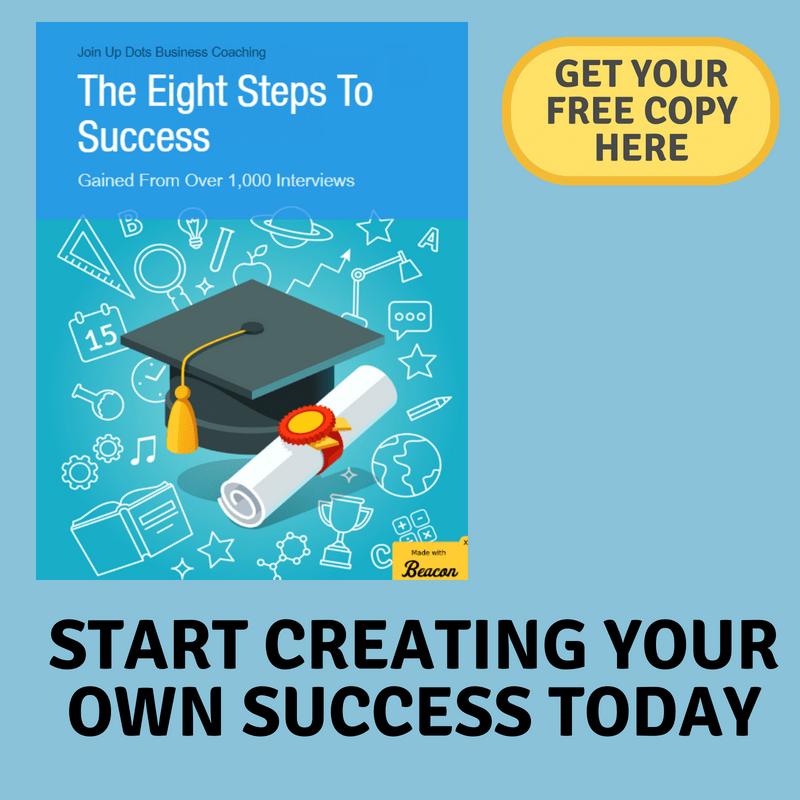 I can learn from that now I’ve said this a few times on the show but there was a book that I read and is called The Secrets of a millionaire’s mind and it was one line in it and this guy was desperate to be successful and no matter what he did he wasn’t successful and he said to this millionaire you know can you help me. The guy said Yeah no problem at all. You dont know enough about the system you dont know enough about what youre doing and he was annoyed because he thought he was going to get that a key to the door bar upping with disappointment. You just have to look at it and go Okay I need to learn more. I thought I knew enough. I thought it was good enough but its not and I go back over joined up darts and I can see why products did work. I can see why sales funnels didnt work. Theres always more learning involved. So if you can take that disappointment and just think to yourself I didnt work but I need to learn I need to work harder at it then that’s how I’d do it. That’s how I do it. Okay. Oh let’s clear my throat it isn’t going to be the Garg or but I need to take some water. Right okay. What’s your fave bit of the show. Right OK I dont know about the five bit of the show or the fave bit or doing the whole show so I am going to say the whole show was a bit of doing the whole show. I think it’s connecting with you listeners beyond anything. When I get MSEE true unfortunately I get quite a lot of messages through Facebook or email and somebody has taken the time to reach out and told me a little bit about their life and their struggles and why the show has helped them or changed their life or just you know it’s when somebody reaches out. I think that’s my favorite thing because you realize somebody’s listening your words are going into their ears and they’re making a difference. And we we do a lot in your online environment doesn’t come back to us is just like blast it out. Blast it out blast it out and you dont know really Avalon’s sort of downloads and stuff that anyone listening and it is a truth that you get more horrible things said to you. Brenda nice beings people dont often say nice things but when you do. Thats my favorite bit when somebody has made the effort to send us an email or sent us a message on Facebook and we always we always try to respond. I love that bit. What do you hate about the show. Right I think thats the same person asking two questions but I will let you off on that. What do you hate about the show. Or to worry about the show. Right. The ad men and yeah two things I hate the admin theres a lot of admin and I could outsource it to somebody I should do really but its that kind of stuff that Im so good at doing it now I can do it really really quickly so I just spend a couple of hours and I sort of get it done. But you know when you think he’s got to do that. That’s a bit flat. And I do hate yes. Oh yes. Yes. Dont turn up if I am being prepared. Ready to rock and roll and record an episode and I get a message that just says something like I had one the other day running behind and then I had another one the next day running behind. 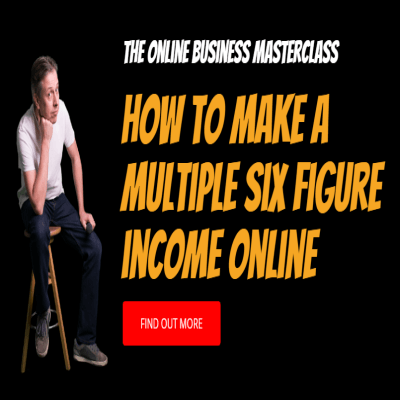 And thats a bit rubbish you prioritize you get being sorted if youre going to do something youre going to do something and I hate letting anyone down. I did let down a guy the other day called Robert Randall. I do apologize again but I really do. He put some time with me it didnt sync up on my calendar so I didnt see it until he sent a message through to me saying Do you glued your pig. You said you want to be here and I will do. It doesn’t all like that. Hes a lovely guy as well so that’s how I fell. I fell in there because I wasnt ready for him I should have been there. So yeah I think thats a bit I hate most of all guests who are desperate to come on the show even at very last minute they cancel and I have done older research Ive done all the preparation by that time so thats a little bit rubbish. Okay and last question is from Jonathan where are you heading right. That is interesting because join up DOCSIS just turn four. up in front of people. So we’re going to have as I say the TV when he and I have a YouTube channel we’re gonna have all the kind of things that makes it more personable and hopefully allows you guys to connect with us and know that we’re we’re a team of people that want to help you were a team that is inspired to turn 1 million people across the world into a success story that will you know send ripples across the world. That’s what we’re aiming for and it’s Augusta from a certain point so very short episode today very short episode because hey I’m not here until the next time we will of course be telling you who is the winner of the world’s biggest podcast prize ever. I won’t once again be doing my Jimmy Saville impression or it’s a good one. It’s a really good one. But I will see you again later. So thank you so much for being here and oh on the 14th of May 2000 an 18. 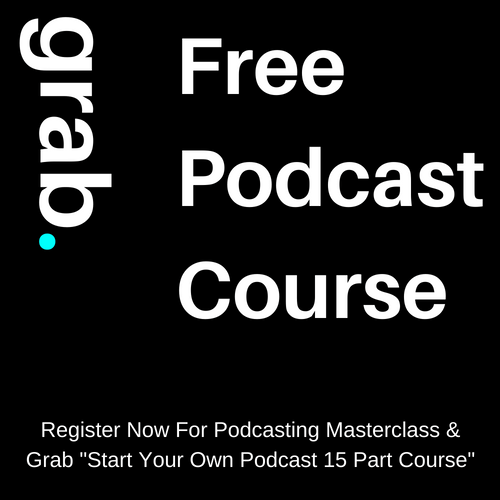 At eight o’clock in the evening Greenwich Mean Time London time I will be doing a live podcasting masterclass. 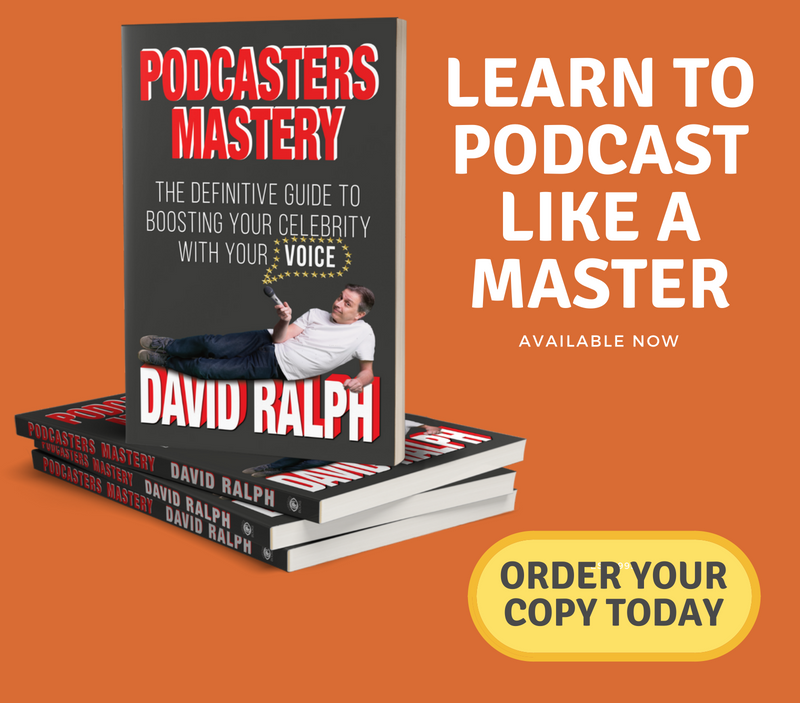 So if you want to find out more about how I’m doing it behind the scenes you can jump over to podcasters mastery dot com and just book a place and I will be there live in front of you showing you how it’s all done and how you can create huge success as well so that’s a 14th of May 2008. But until that time we will see you again look after ourselves. Cheers and well thank you.